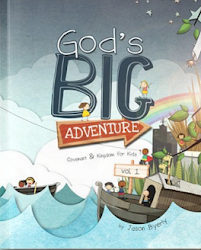 Who are you trying to reach with your Children's Ministry? For years, I would have said my answer was kids. After all, it is called Children's Ministry, right? Seems like a no brainer. But the longer I've served in the church, the more I've come to realize that kids are only one of the audiences I need to consider if I want to help the next generation to fall in love with Jesus and follow him. Okay, so if it's not all about the kids, then who are we trying to reach? Our volunteer leaders? After all, they're the ones on the front lines building relationships week after week. Or how about the parents? No question, God designed them to be the primary disciplers of their children. So maybe we should just target the parents? 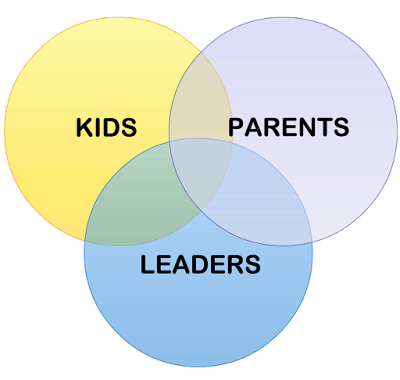 Actually, the most effective Children's Ministries go after all three: kids, leaders and parents. You can build the most awesome kid-centered Children's Ministry on the planet, but if you don't build it for leaders, it could be a miserable place to serve. 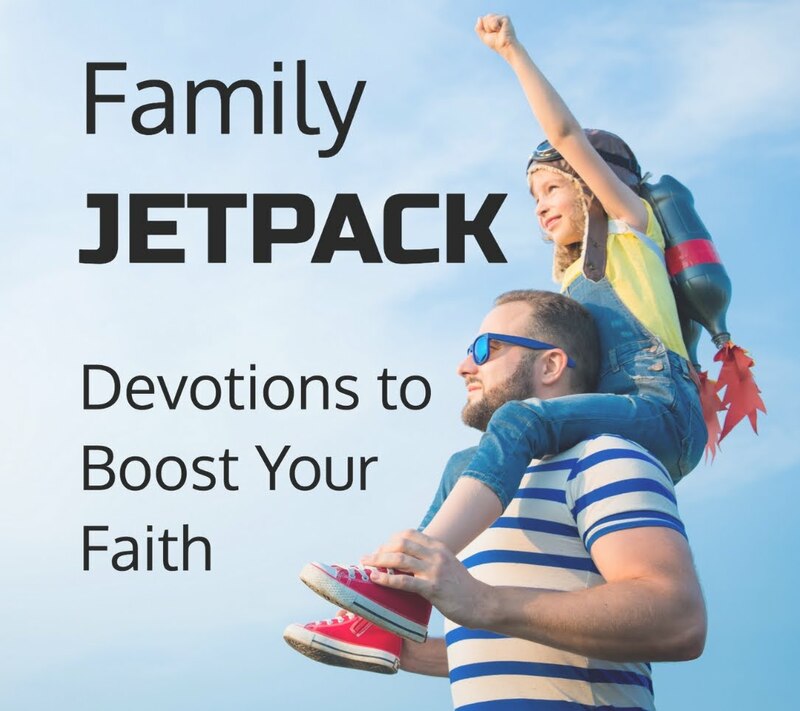 Or if you don't consider the needs of parents, you'll never build bridges between the church and home, and you'll never help kids reach their full spiritual potential without parents leading the way. On the other hand, if you create a fantastic environment for leaders and parents, but don't build a place children love to go, you'll have a mutiny on your hands. Parents will have to drag their kids to church, and no leader will want to lead a bunch of bored, disengaged kids. That's why in our Children's Ministry we've started putting everything through the lens of each audience we're trying to reach: kids, parents & leaders. It's like a three-legged stool. It's not sufficient to have only one or two legs in place. Without all three, the whole thing collapses. So, how do we do that? Well, we don't always. Some weeks we hit one better than others. On a rough week, we may strike out on all three. But the more we approach our ministry with all three groups of people in mind, the closer we get to the mark. We create experiences for kids that are magnetic, magical and just flat out awesome. Our environments are kid-targeted from start to finish, age-appropriate, fun, engaging, relevant, relational and transformational. It’s a place where kids can belong and feel safe. It’s one of the coolest places in the world to bring your friends and a place kids love so much that they’ll wear their parents out over it if they ever have to miss. We create environments that honor leaders by inviting them to do big things. We value them by keeping the bar high in terms of commitment, expectation and challenge. We empower them by connecting them in community with other leaders, discipling them through coaches and providing them with curriculum that makes them feel like rock stars. We want to blow parents away with our safety, friendliness, cleanliness and professionalism. We build environments that earn a parent’s trust, engage their kids’ hearts and set them up to have incredible spiritual conversations at home. Of course, this isn't always our reality, but I've seen many weekends when it is. And the more we focus on the three audiences we're trying to reach, the more frequently this vision comes to life. Best of all, we see families and leaders grow in their faith, and God gets all the credit. So how about you? Which audience are you reaching the most? Which ones need some attention?